Millions of 2017 Tax Refunds will be delayed this year. Find out if yours is one of them. If you filed the Earned Income Credit(EITC) or the Additional Child Tax Credit(ACTC), your 2017 tax refund will be delayed according to the IRS. We have had many questions recently regarding the 2017 tax refund delay. Here is how to access whether your 2017 tax refund will be delayed until February 15th, 2017. Answer the questions below to find out if you have a 2017 Tax Delay incoming. Did/do you file with dependents? If you answered yes, then your tax refund could be delayed. If the answer is no, then you most likely will not experience a 2017 tax delay. Did you make more than 14,880 in 2016? 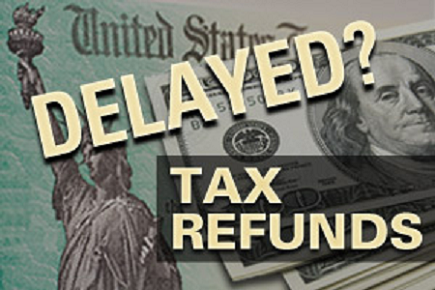 If you answered yes, then your tax refund could be delayed. If the answer is no, then most likely you will not have your 2017 tax refund delayed. Did you file married filing separately? If you answered yes, then you should not experience a tax delay on your 2016 tax return. If no, you could experience a tax delay. Want to find out when you will get your tax refund whether it is delayed or not, check out the 2017 Tax Schedule for Federal Tax Refunds. Due to the PATH Act change, some people will get their refunds a little later. The new law requires the IRS to hold the refund for any tax return claiming either the Earned Income Tax Credit (EITC) or Additional Child Tax Credit (ACTC) until Feb. 15. By law, the IRS must hold the entire refund, not just the portion related to the EITC or ACTC. Even with this change, taxpayers should file their returns as they normally do. Whether or not claiming the EITC or ACTC, the IRS cautions taxpayers not to count on getting a refund by a certain date, especially when making major purchases or paying other financial obligations. Though the IRS issues more than nine out 10 refunds in less than 21 days, some returns are held for further review.